New listingSwift Touring Caravan Brochure 2015 - Challenger Sport, SE, Conqueror. Specs. 18FT PALADIN FORSYTE CARAVAN, THE PERFECT CARAVAN FOR THE IDEAL HOME BROCHURE. THE NEW FORD THAMES-BASED "CARAVILLE" BROCHURE. 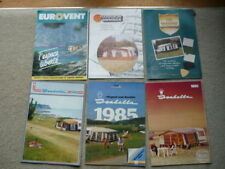 MERCEDES BENZ FOSTER & DAY CORSAIRE MOTORHOME SALES BROCHURE/SHEET LATE 80's? 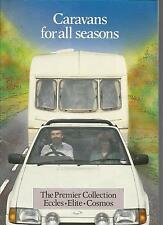 THE CANTERBURY SEEKER, FOUR BERTH MOTO-CARAVAN BROCHURE. 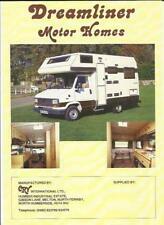 CAR CAMPER FORD TRANSIT 4 OR 5 BERTH DE-LUXE MOTOR CARAVAN BROCHURE. 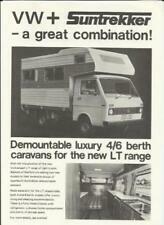 RICHARD HOLDSWORTH BEDFORD CF MOTOR CARAVAN BROCHURE.